Hellooooo! 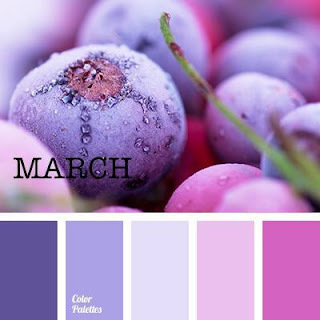 Its colour theme week again and it's Karen here with another *Twinchie* for you. Hello Carol with you today, what a cold start to the week we are having, will the promise of heavy snow materialise tho? I hope not!! 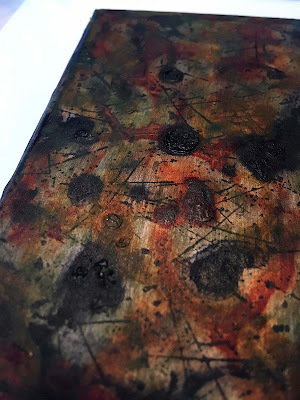 This month I have used the 80 x 116mm board and sprayed it with water letting it soak into the base, when semi dry I then peeled back layers and rolled the corners…. I also applied this technique to my butterflies (the grab pack of butterflies) this time lifting the top layer off totally…. 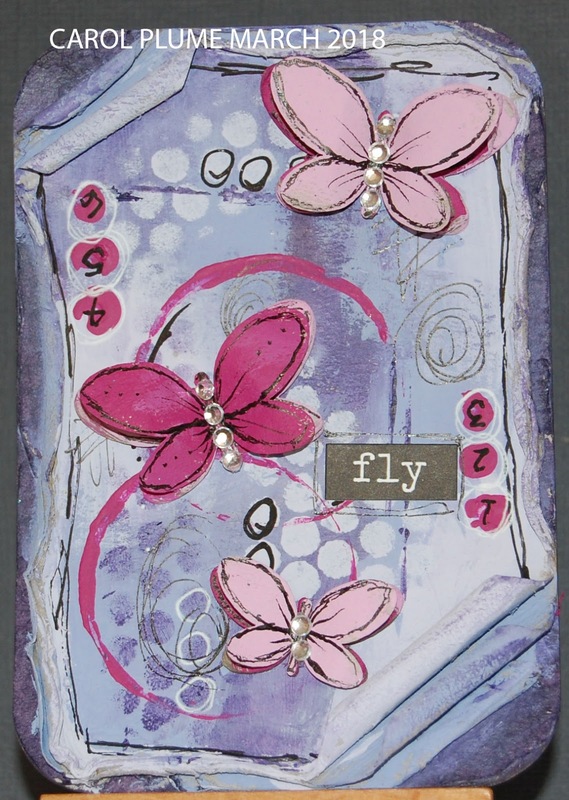 I left the pieces for several days to ensure that they were completely dry and then I added the purple colour tones to the base and doodled with matching paint, and then painted the butterflies, doodled and added some bling…. Do pop back this week for some more colour pieces. 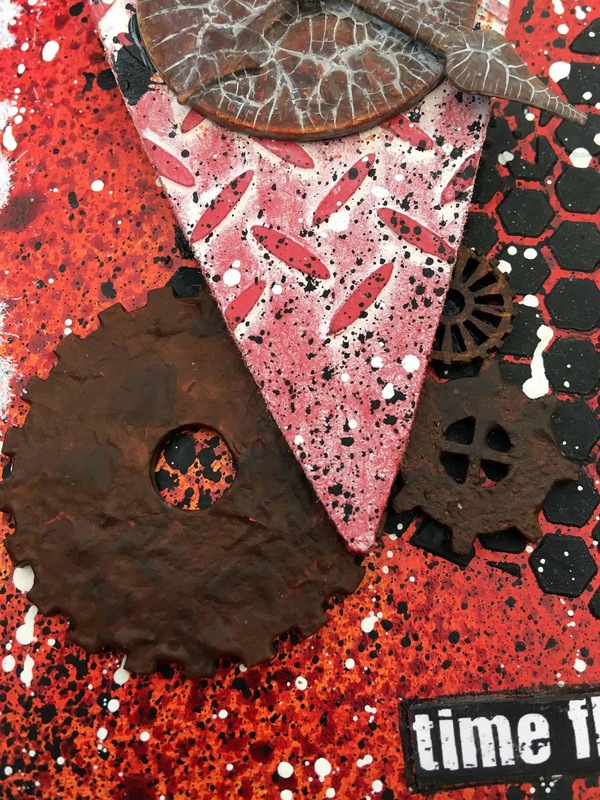 Hi it's Brenda here finishing off the RUST week and haven't we seen some fabulous projects showing how rust effects can be used for different projects? I have used a tag I started at Stitches last weekend and if you take a peek at the end you will see how different it looks rusted up. 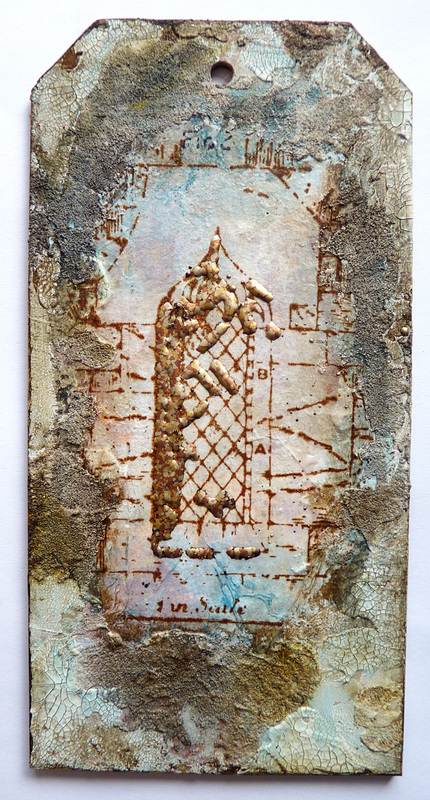 I had been demoing layered backgrounds and finished off with some crackle paste and one of Andy's new stamps. 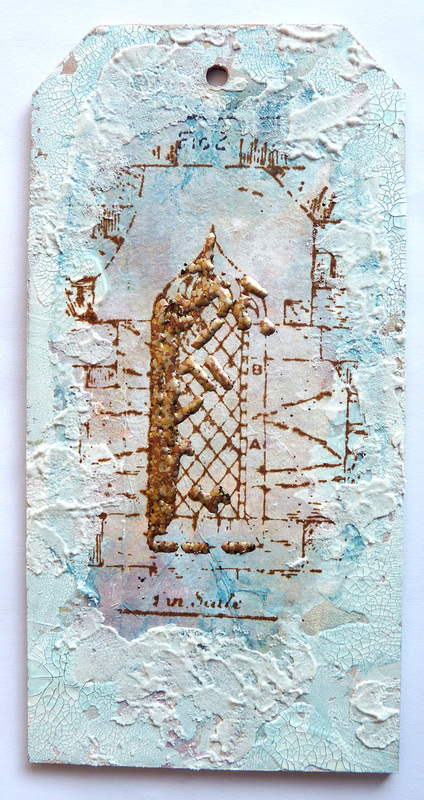 I used a little of the stampendous chunky metallic EP on the arch window and experimented with some sand texture paste between the crackle. .... but with rust in a bottle aka quinacridone gold I started adding washes and spritzes of water and was quite happy when I got to this point. But there's always a but isn't there? There wasn't enough contrast for me, so I just spent a little time dabbling small amounts of the colours and spritzing with water again. I introduced a little prussian blue hue and I darkened the edges more. 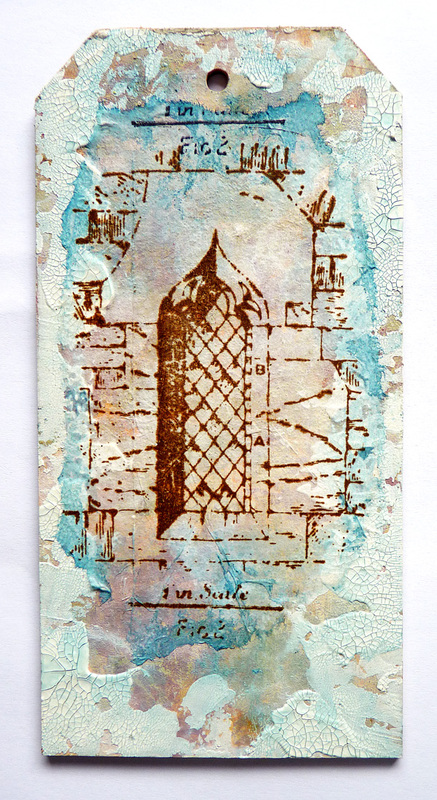 I also ran a little of the colours over the window and through the embossing. Then and only then was I feeling even happier. As I say to my students 'beauty is in the detail'. To finish I raided a drawer where I keep lots of left over 'rusted' elements and chose some simple pieces to pull it all together. And there it is looking nothing like it did at the beginning. Thanks for stopping by, I hope you have enjoyed looking at all the team's amazing rusty projects. Hi all, Hannah here with a rust inspired project! 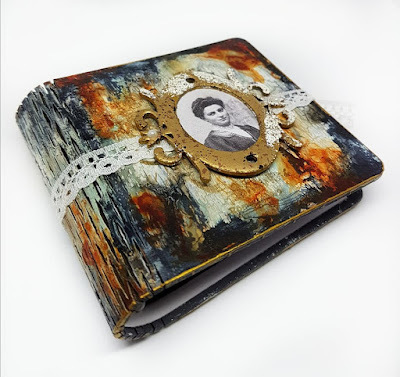 The cute mini book has been created as a project for the Tando Creative Retreat in Norwich 24th and 25th February. At which I will be teaching this as an evening class. 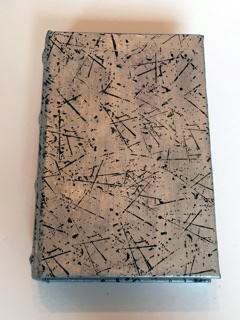 The book has been aged using several layer techniques, incorporating DecoArt Chalky Finish Paints and Media Fluid Acrylics for the washes. 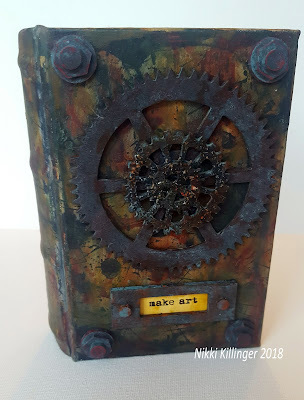 While many of my projects contain rusted elements such as cogs and book plates, I wanted to create something to show rust stains can be used as an effective background too. 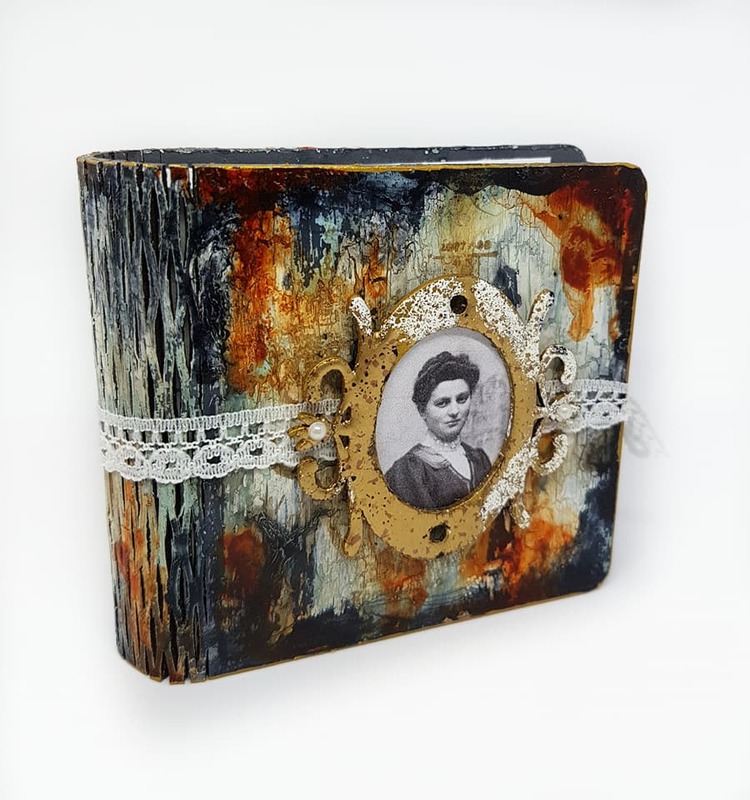 To add to the vintage vibe of this piece, I have included lace and old photographs. 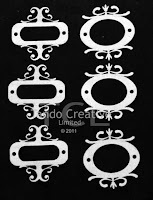 These give a more feminine feel to the design. 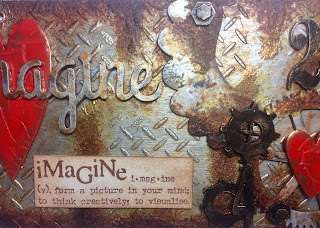 I am looking forward to sharing this workshop and the rusty background techniques! Hi everyone! 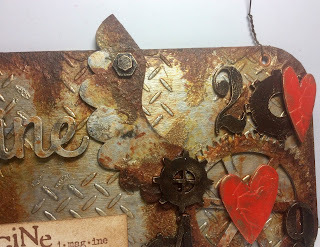 Dee here with my rust post for this weeks challenge. Those of you who know my work will know this is one of my favourite effects to recreate. This time though I used Pentart rust effect powder and regents and I must say I am pretty happy with the results. I also made my home made tissue paper with Stamparama stamps and used that on tag 2 and 3. 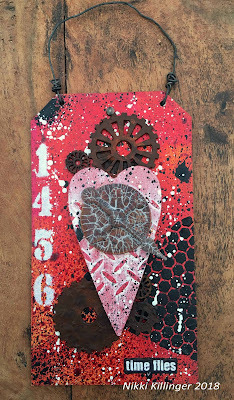 Firstly I painted the tag with Relic chalk paint next I used iron paste mixed with a few art stones at the base of a size 7 tag that had been cut and gouged with a craft knife. Next I used the iron powder over this and followed with the reagents liquids. 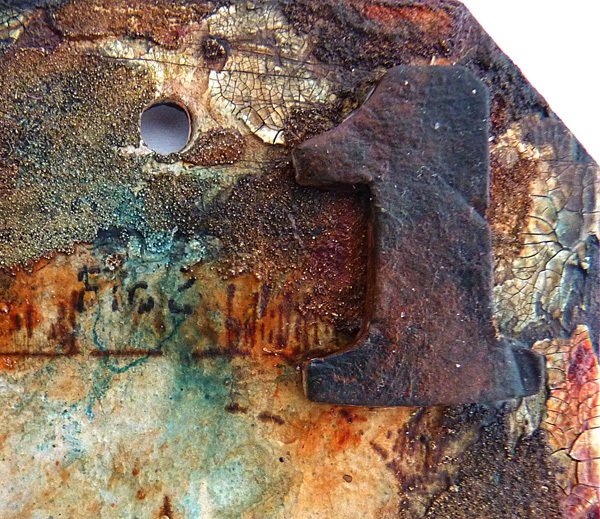 I used a small amount of mica fragments to enhance the rust. 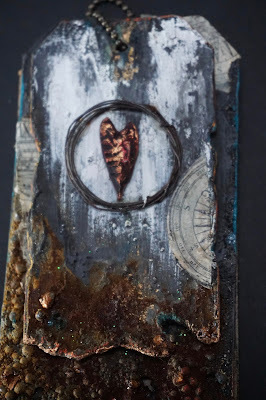 Once developed I then used weather wood over the top part of the tag, once dry I then followed with Everlasting chalk paint and waited for it to crack. 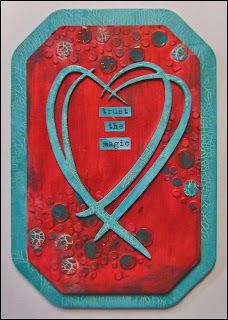 Using a small heart out of Tando's new heart collection I put dimensional paste on it then painted it and blinged it up with Treasure gold. Finally Hannah Oxberry's rusty wire wound in a circle around the heart. The same as tag 1 but a sprinkling of sand glitter in the wet paint and a compass and another design of my handmade tissue paper. Covered entirely with hand made tissue paper adhered to the tag with Matt medium if you look closely you can see flashed of gold and splashes of Raw Umber and Prussian Blue Hue. I hope you all enjoyed my post thank you for taking the time to look through please feel free to leave a comment. A list of all the products used are below. 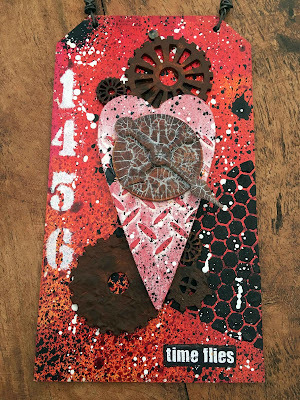 Tando Creative :- Hearts Mega Pack small distressed heart, Andy Skinners Tagtastic tag used as a template, Tags size 7,8,9. Deco Art:- Chalk finish paints Relic, and Everlasting, Weather wood, matt medium, Raw umber and prussian blue hue fluid acrylics. From my stash:- Handmade tissue paper (can use shop bought i just like using my own). 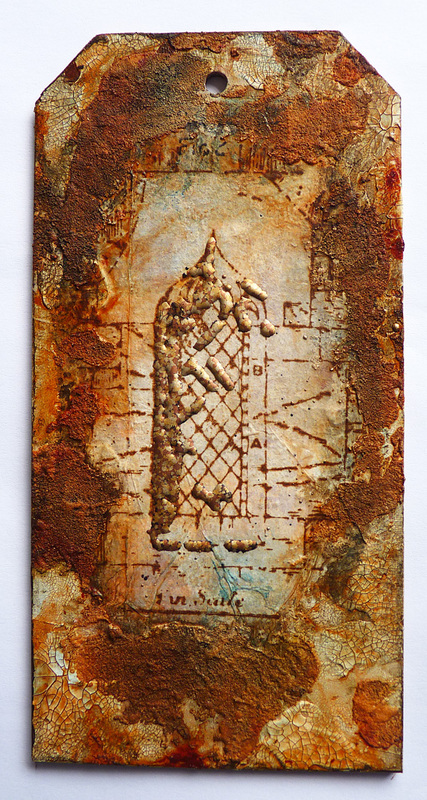 Pentart iron paste and rusting kit. Treasure gold. Today is my turn, and it's Rust Week. Now this is my favourite subject. I'm forever taking photo's of Rust, painting Rust, making anything I can look rusty, I'm even thinking the hallway could maybe get a little rust effect in the new decorating scheme when I start..
Today though I've taken a second hand book box, it's a tiny little thing from a charity shop, and added Tando elements to make it a lovely little storage for my atc's. The book box was fabric with roses on, I forgot to take a pic before I started, but I gave it a coat of Silver and stamped scratches all over. On top of this, layers of washes of colour were added and some heated until they bubbled. I added more colours until I achieved a depth I was happy with. Antiquing cream in green was added around the edges and in certain places and rubbed back with a very slightly damp cloth. 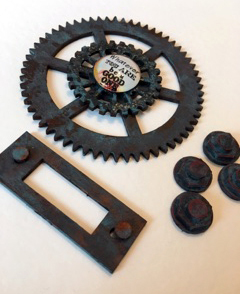 The components I used were from the Industrial Elements kit, cogs, washers and bolts and a book plate. These were given one of two rust treatments, one was Pyrrole Red and Black Antiquing Cream, followed by Green Antiquing Cream, both rubbed back between layers. I tried out embellishments at this stage as well before the gluing. The other on the book plate and bottom cog is my very simple Rust technique, of just two colours, Raw Umber and Pyrrole Orange, applied liberally and just smooshing together as you paint. While wet, heat with a heat gun until it bubbles in parts. The top two cogs were already embossed with a lovely embossing powder and I received them in a stash swap, so I just added a little Quin Gold in area's to add to the effect. 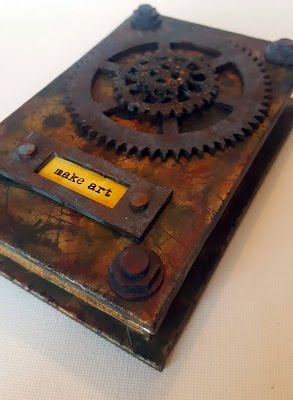 The whole book was assembled and I gave a sentiment a wash of Transparent Yellow Iron Oxide and added under the book plate. I finished the spine of the book with some Chalk Paint. A little Black Antiquing Cream was also rubbed over in areas on the spine and rubbed back for definition. I'd like to say thank you to Hannah my team mate for inspiring me today, and a shout out to France Papillon also as just sitting next to her at the weekend had a calming and inspiring effect on me, I haven't stopped painting since I got home..
Hope you can check out my other team mates work this week, there are some awesome makes! 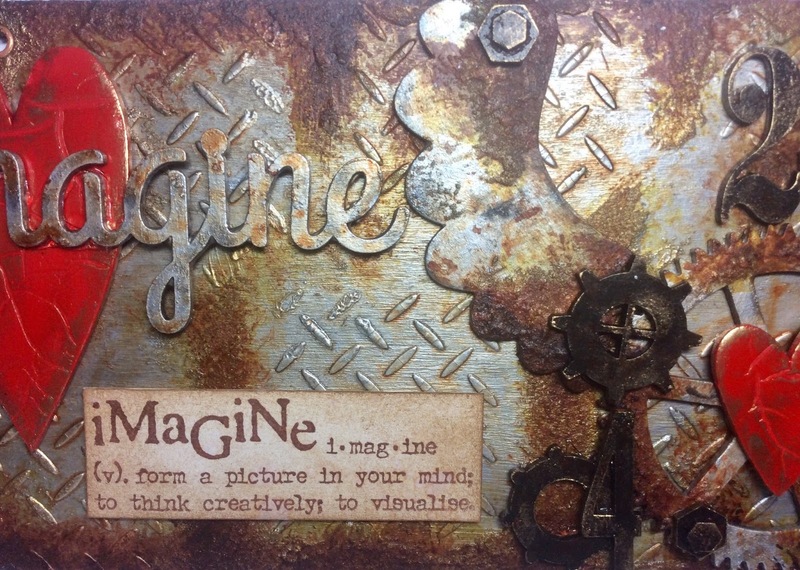 Industrial Elements Kit - Tando Creative. 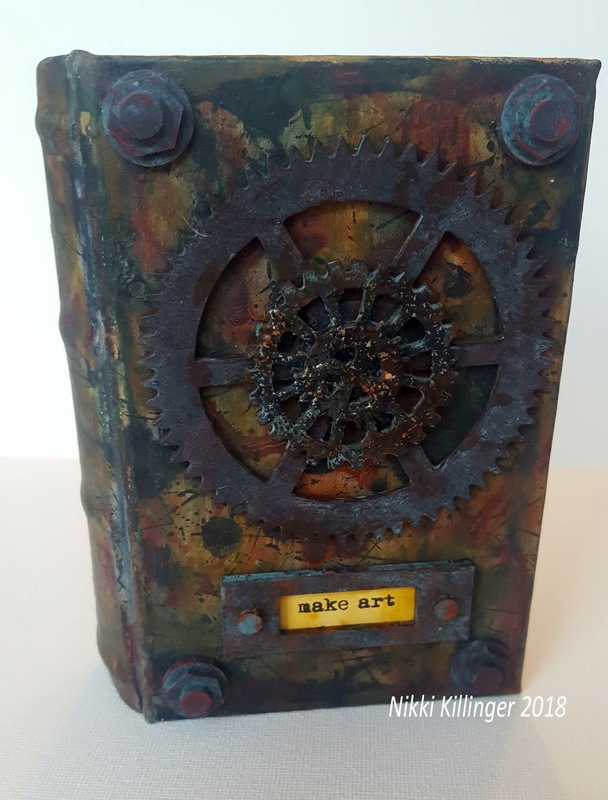 DecoArt Media Fluid Acrylics : Metallic Silver, Quinacridone Gold, Transparent Yellow Iron Oxide, Paynes Grey, Pyrrole Red, Pyrrole Orange, Sap Green. DecoArt Media Antiquing Creams: Black, Green Patina. Americana Decor Chalk Paint - Lace. I started by using structure paste with the Tando Criss Cross stencil onto a large media board. Then I added sand texture paste with my finger mostly around the edges and also small amounts in the centre. The final touch was to add some rusty wire as a hanger. 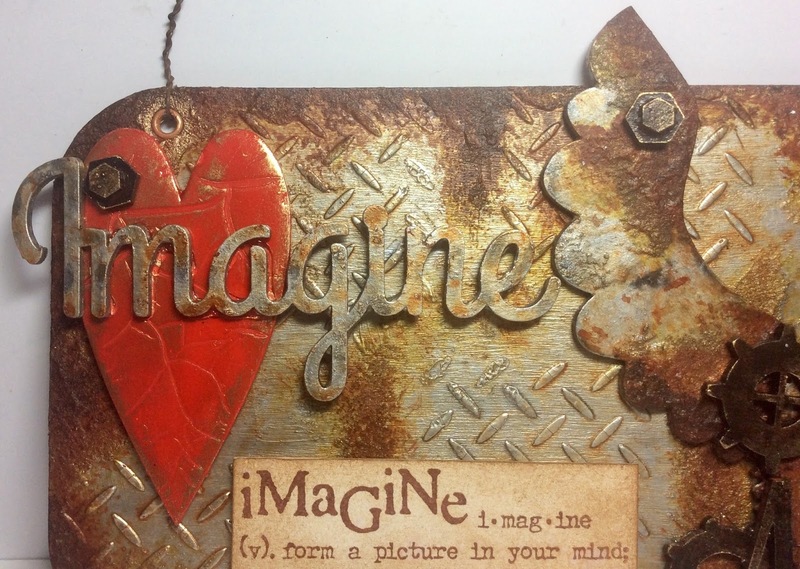 I am really looking forward to seeing the other rusty projects this week and hopefully trying some of the techniques out! Hello! 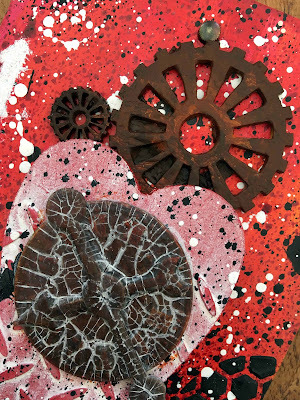 Its Valentine's week here in the UK and so I have brought you a heart...a big scribbly heart!!! 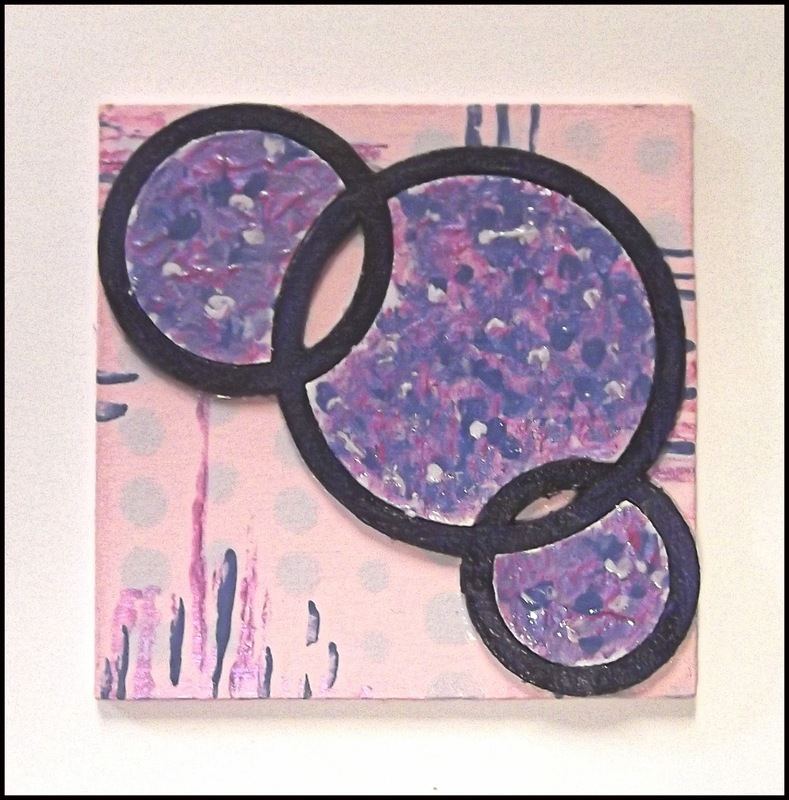 Then I painted some Primary Magenta over it. 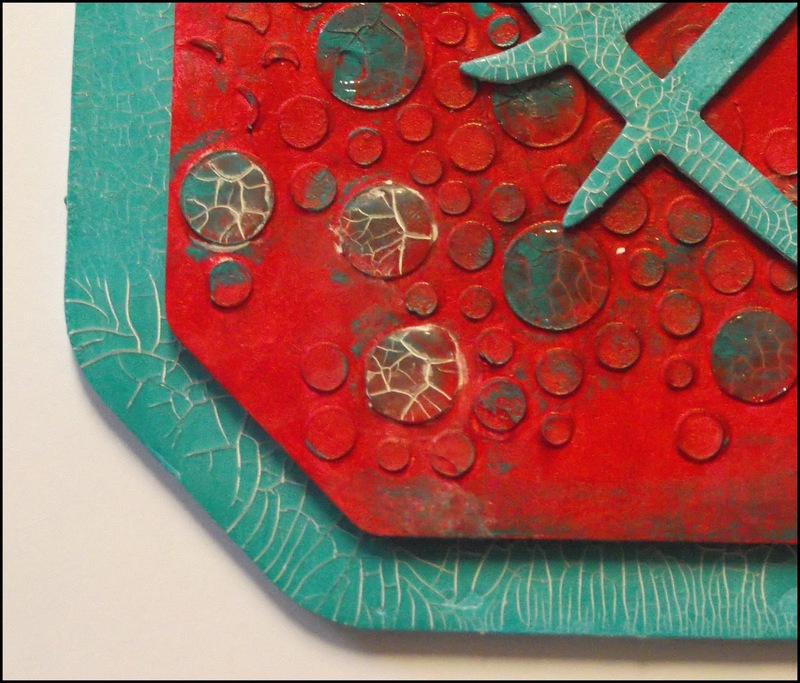 I replaced the mask and added touches of Cobalt Teal Hue onto the dots, rubbing any bits of leftover paint around the rest of it. 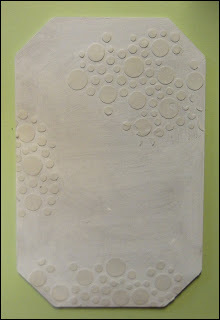 Next came some *Crackle Glaze* over some of the dots which, when dry, were treated to some Antiquing Cream! The heart was also painted in the Cobalt Teal with Crackle Glaze and Antiquing cream added afterwards. The MDF base was treated the same way. Hello my dear crafty friends! Irit is here today. Welcome to my second February Tando post and this time it was made for Anything goes week. 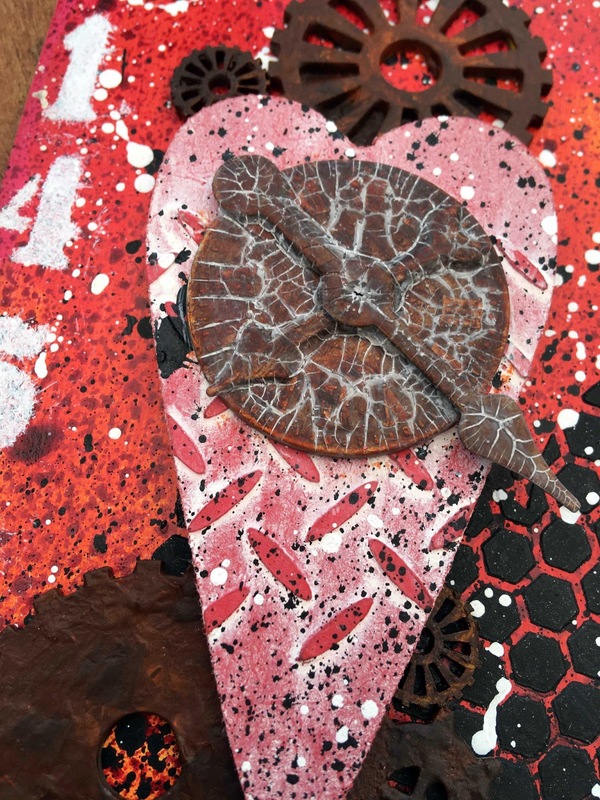 So I made this altered heart as my tribute to our mutual creativity. 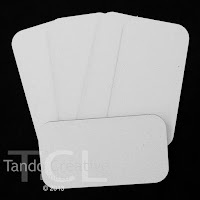 For me it's always Time to create and this Tando creation is so easy and fun to make! The heart is one part of Tando printers tray, just one of three and it was used as the base for all other chipboard pieces. Each and every chipboard piece was painted with DecoArt Crackle paint in the most random way: just add some paint here and there, don't try to cover the whole piece. Then all acrylics were added over the paint splashes and the paint brushes and the sentiment was added to the finished piece.I used the negative of the sentiment only for this project. I added paints in a kind " textured way"-using pallet knife or adding a lot of the paint as you can see from this close- up photo. 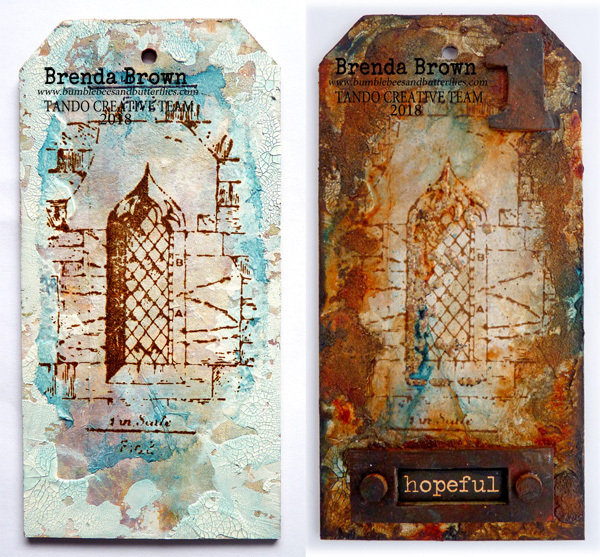 Today I've got a tag/hanging for you that I was playing with backgrounds for a while on, and loved this bright but grungy style. I also like putting colours together that don't initially 'go', but always end up working. 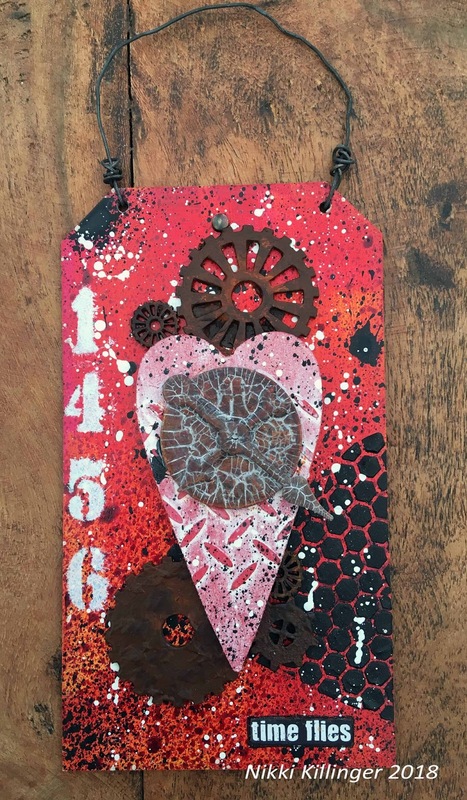 The background was some red, orange and pink paint, just randomly applied to the tag. To pull it together I used a Media Mister in Violet, and spritzed the tag all over. I then spattered black, and then white paint on the tag, drying in between stages so they didn't mix. A honeycomb heart stencil was used with black modelling paste to give texture, and some number's stencilled to one side. The sentiment is a printable. The heart in the centre was stencilled with the treadplate stencil, then given the same red and pink paint treatment as the background. On top of this, white antiquing cream was added and rubbed back when dry. I also spattered with black and white paint. 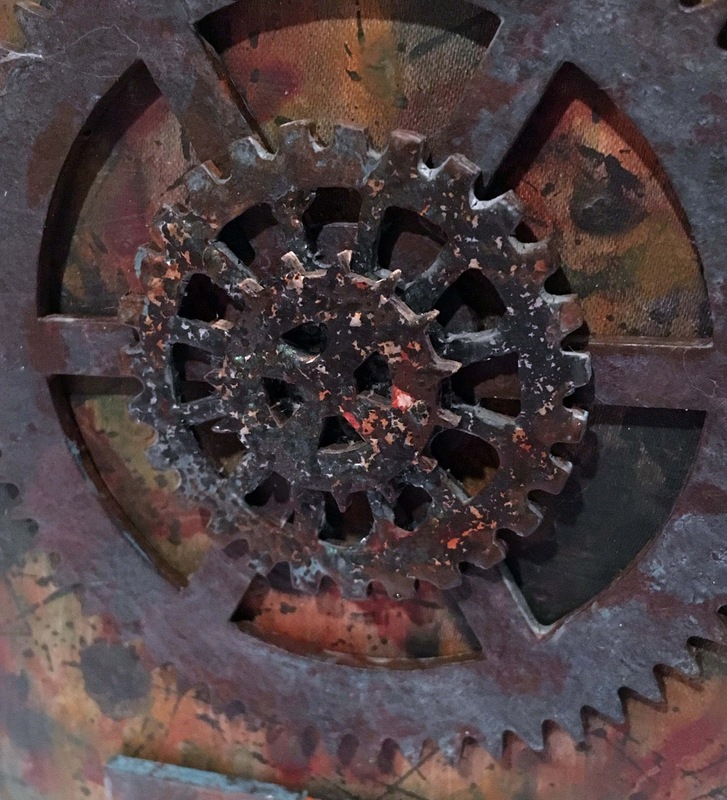 Cogs were added, using a very very simple rust technique, it's just two colours, Burnt Umber and Pyrrole Orange, stabbed loosely with a paintbrush and nice and wet, and then heat dried until the paint bubbles slightly. This gives great texture and is very quick to do. The clock in the centre was a metal embellishment with separate hands. 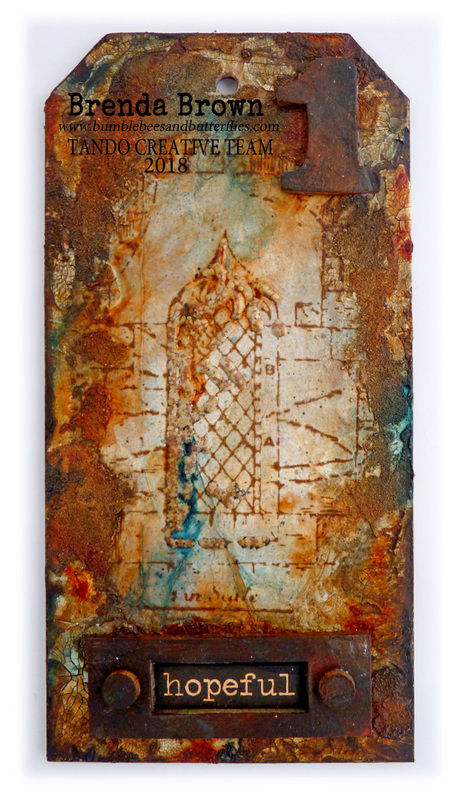 I first gave it the rust treatment without heat, and then used Crackle Glaze all over once glued together. The crackle glaze helps to hold it as well. I used White Antiquing cream again in the cracks of the glaze, and wiped back when dry. 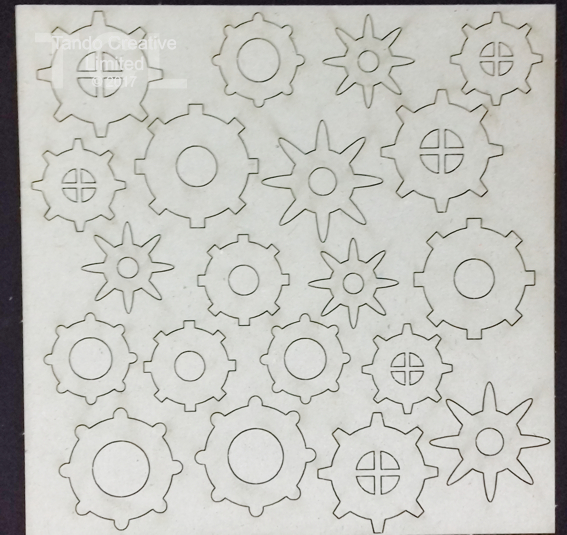 I wanted a matt effect on this and the cogs, so used Ultra Matte Varnish to seal. 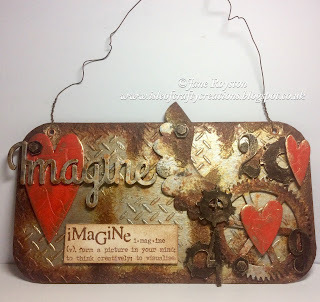 Tando Creative Tags, Cogs, Hearts & Mini Stencil - Criss Cross. 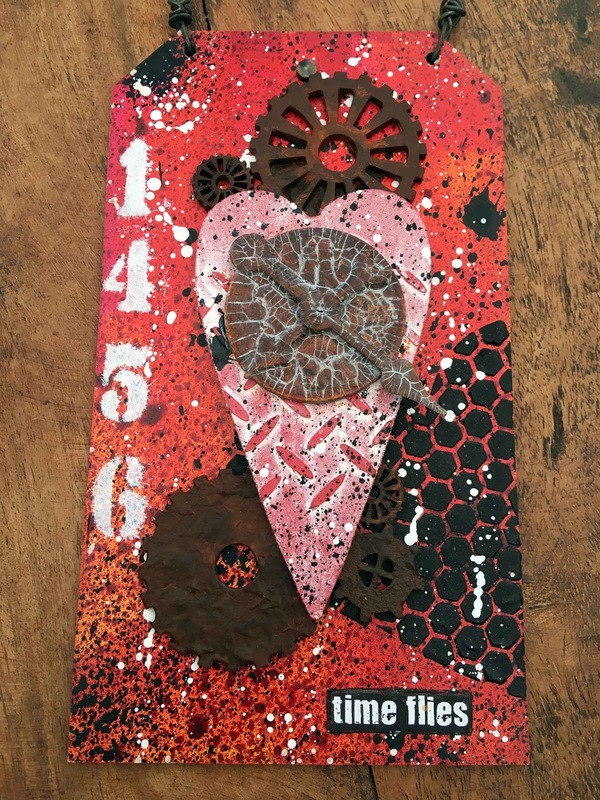 DecoArt Media: Pyrrole Orange, Pyrrole Red, Primary Magenta, Titanium White, Carbon Black, Burnt Umber. White Antiquing Cream. Black Modelling Paste. Media Mister-Violet. 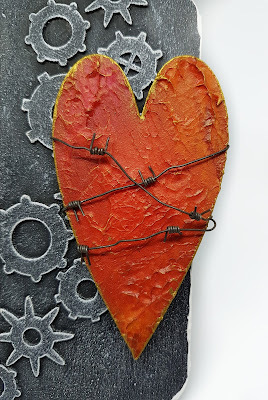 Hi all, it's "Anything Goes" week here on the Tando Blog, and I wanted to share with you a chalkyboard style background along with one of my favourite embellishments; a textured heart. 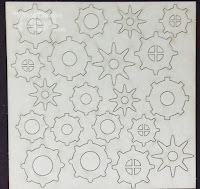 This media board has been decorated with with a selection of mini cogs, painted in black gesso and dry brushed with white gesso. 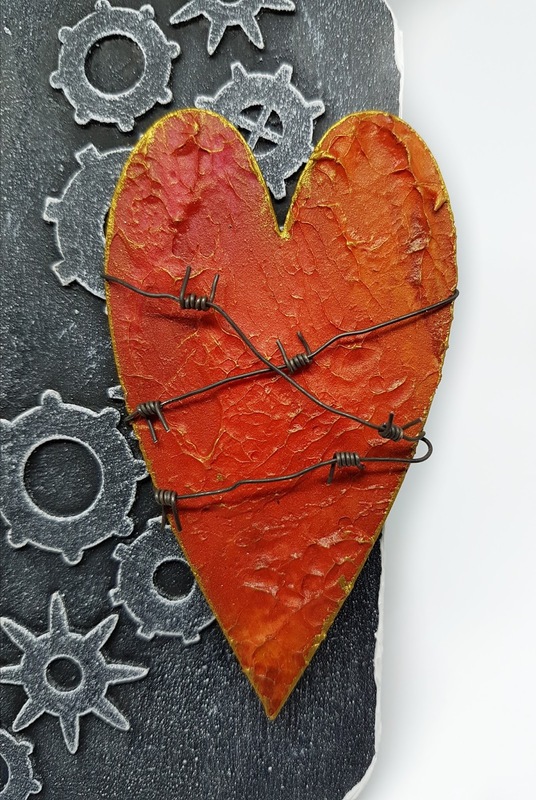 The feature of the board is the textured heart - painted in DecoArt Media Fluid Acrylics and highlighted in metallic gold. 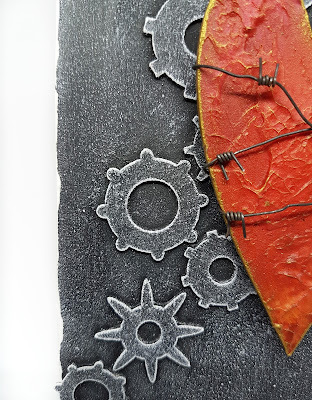 Dry brushing the background highlights the edges of the cogs, as well as the texture of the board giving the board a faux chalk board finish. 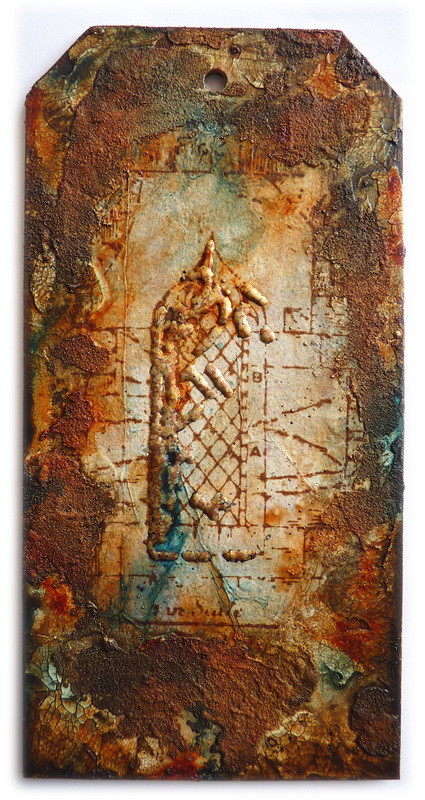 The textured heart is painted in tonal colours, giving the texture depth, and further highlighted in metallic gold. 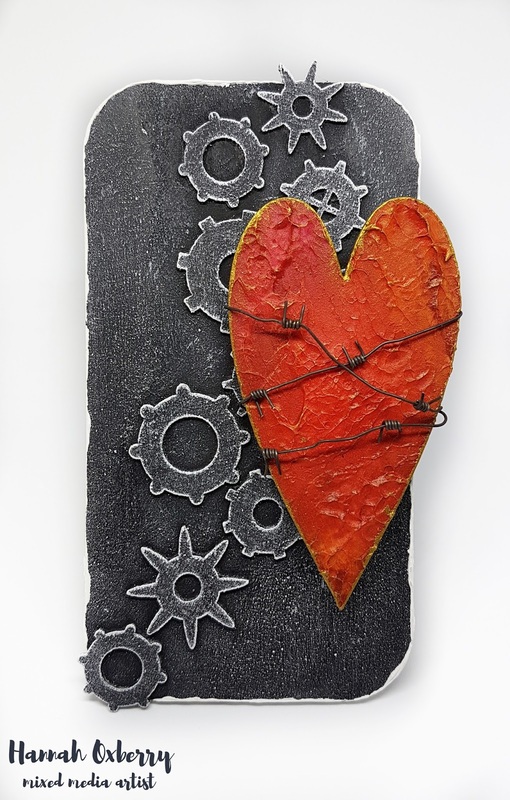 To finish, I have wrapped the heart in rusty wire, which I have formed to give a barbed wire look. Leaves and Frames... and a few flowers!